V2 Woolworths disaster, New Cross, 25 November 1944. 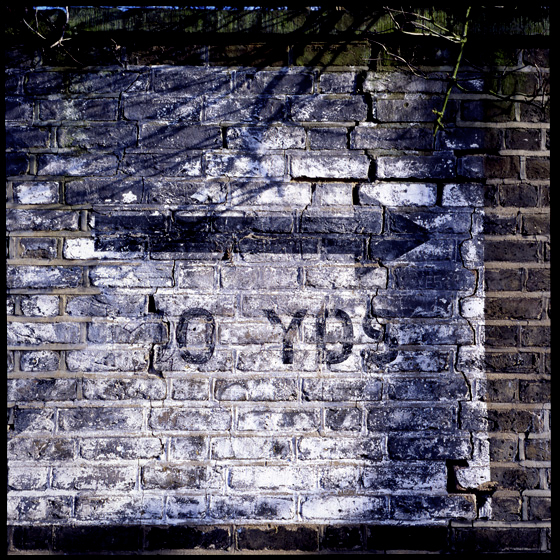 Air raid shelter sign, Jerningham Road, New Cross, SE14. Photo © David Secombe 2010. Today marks the 67th anniversary of the worst single bombing incident of the 2nd World War – when a V2 rocket scored a direct hit on a Woolworths store in New Cross. The V2 hit Woolworths when it was crowded with Saturday morning shoppers: the official death toll was 168, but it was often said that the real figure was much higher – although it seems unlikely that a significantly higher casualty number could have been withheld until now. The V2 was unlike the earlier ‘Vengeance Weapon’, the V1 (A.K.A. ‘doodlebug’, a cruise missile) in that it was impossible to detect – let alone intercept – before it exploded. The first impact in Chiswick in September 1944 was first thought to have been caused by a gas explosion. Their sudden deployment was a source of grave concern to Churchill, and prompted the construction of deep-level air raid shelters in Bloomsbury, Clapham and Stockwell. South and east London received a disproportionately high number of V-strikes, largely because of a British intelligence coup: the double agent Eddie Chapman managed to convince his Nazi ‘handlers’ that V1s were overshooting the centre of London (they weren’t), hence the rocket launchers recalibrated and bombs began falling on Brockley, Woolwich, Deptford, Catford, Barking, Ilford, etc., and across Kent and Surrey. The literal impact of these weapons may still be seen in London, where pockets of undeveloped bombsites remain – like the dead spot on Tottenham Court Road opposite Heals, final destination of a V2. South London is peppered with anomalous green spaces or abrupt changes in architectural style on a residential street, characteristic traces of Vengeance weapons. Perhaps the most bizarre legacy of the V2 campaign was the subsequent career of the project’s architect, Werner von Braun. The majestic Saturn V rocket which took Neil Armstrong towards the Moon was von Braun’s creation, the end result of his wartime experiments in rocketry and ballistics. As for Woolworths, they’ve put up a plaque. There is an Iceland store there now. I first heard about this dreadful disaster on Woman’s Hour several years ago. They did an extended feature on it to coincide with a local campaign to put up a commemorative plaque in the area. There were some desperately sad stories from residents. Apparently the Woolworth’s shop was exceptionally crowded that day because a rare consignment of saucepans had arrived and shoppers needed them for Christmas cooking. I particularly remember the story of a young man who had just started work and was killed shopping for sheet music to play at family celebrations.